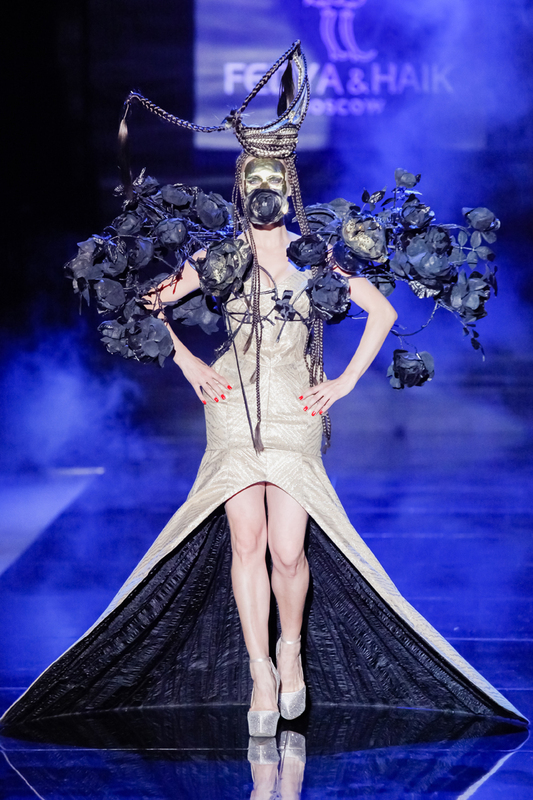 Fashion for Art’s Sake blog: «I was invited to the closing event where two talented designers, Haik Simonyan and Fedor Dodonov debuted with their Stage Outfits collection «Dream Hackers». They really succeeded in creating a magic world inhabited by characters from a far galaxy, a wonderland. 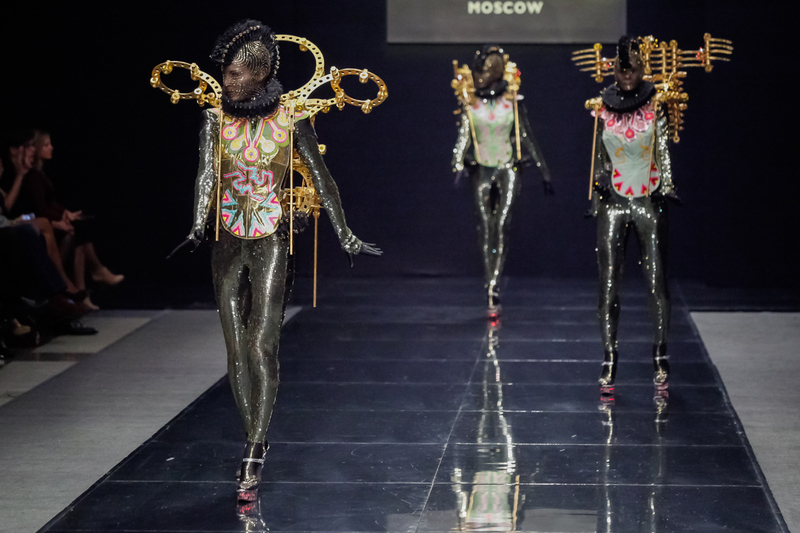 A mix of natural materials: textile, leather, wool, all rigorously produced in Russia and processed in their atelier in Moscow, and artificial ones, used only for the frames and the skeletons of the more structured dresses. 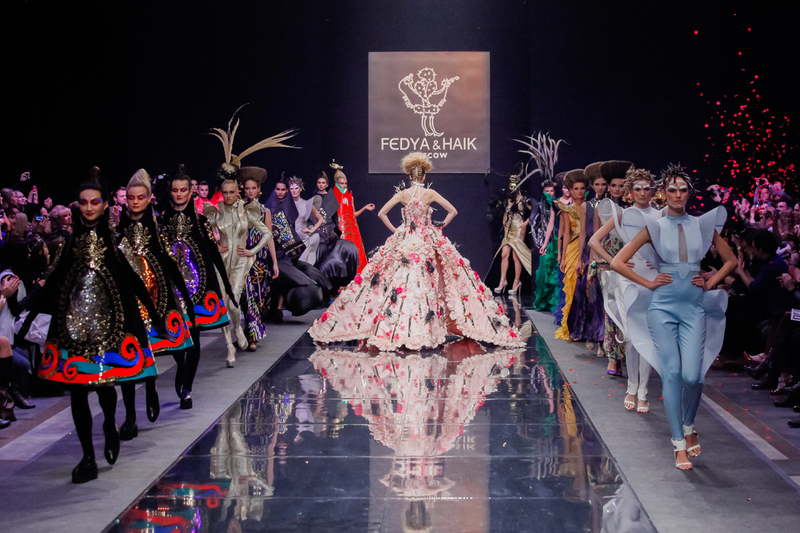 Along with suggestive melodies, dances and models able to seduce with their gestures, Fedor and Haik gave birth to a real theatrical performance. 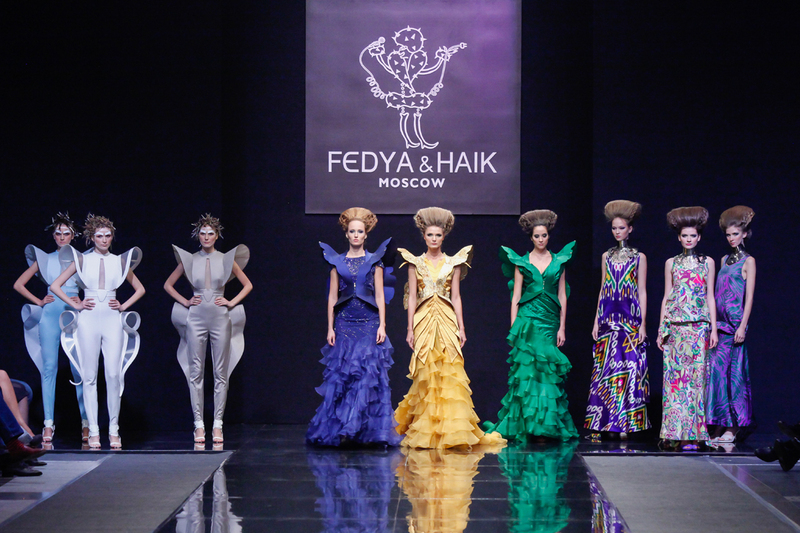 It was very interesting to meet two designers in the backstage especially because none of them seems to have a background in arts or design, but they do believe in what they do and they are convinced, as Fedor said: «To be born with what it takes to be an artist».